Splashbacks for kitchens and bathrooms are widely available, in an assortment of materials including wood, tiles and glass, not to mention stone of all kinds; both natural and man-made. Whether you are looking to create a bold statement feature or a neutral understated piece Glass Splashbacks UK has just what your home needs. You can choose a colour to match your décor or simply go for a complimentary colour that will create a stunning visual effect. 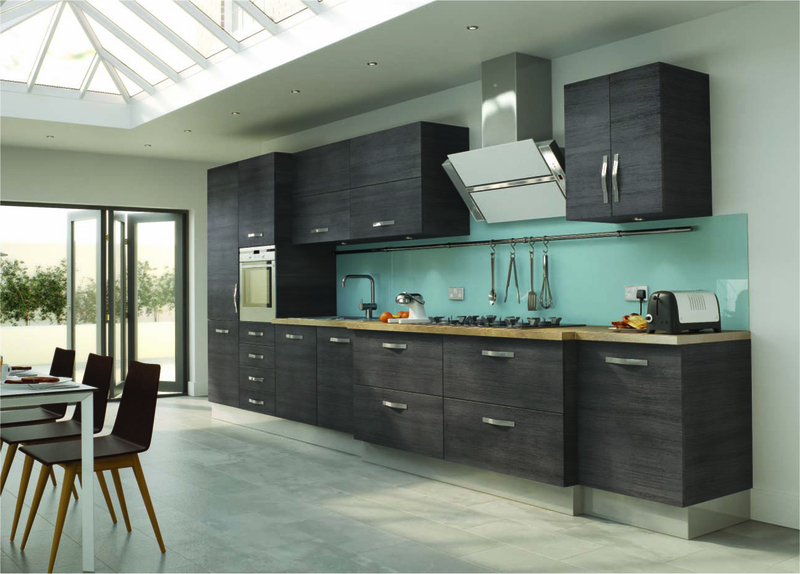 The obvious place for glass splashbacks in your kitchen is behind or around the cooking area. A splashback behind the hob is a very common choice as there are always going to be splashes of fat and food while cooking. They are the ideal option in this area, or anywhere in your kitchen, as they provide a hygienic and easy to clean surface that doesn’t harbour bacteria or grow mould. 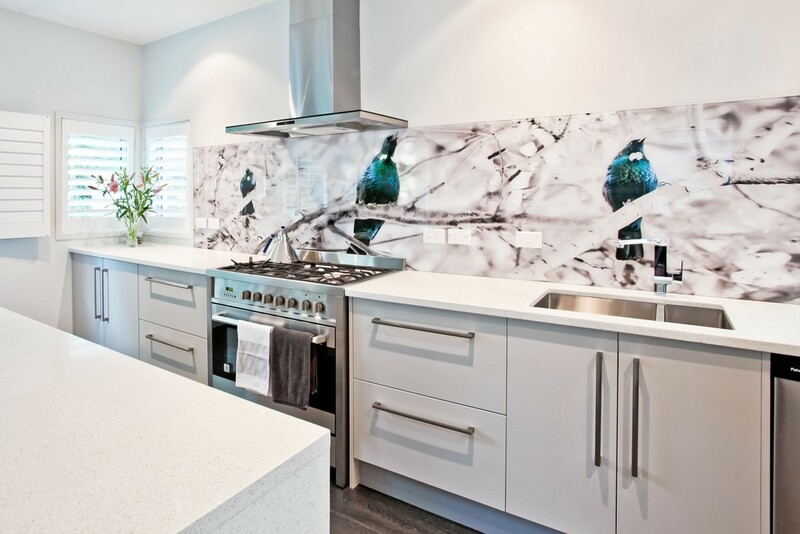 Most types of glass splashback are well suited for kitchens as they are not only durable but also heat resistant. Furthermore, they are a great way to enhance the appearance of your kitchen and a sure way to impress any friends that pop in for a visit. Although tiles can be a great splashback alternative for your kitchen; as they provide a traditional, virtually maintenance free feature, there are some definite negatives when considering tiles as a backsplash option, both for your kitchen or bathroom. They may afford a relatively maintenance free wall covering, however, in time the grout used may become stained or discolour with age. It is often the grout in the kitchen that harbours bacteria which, in time, can result in mould growth; even though you may think that your tiles are clean. Certain tile materials will also need extra protection from fading and to make them heat resistant for kitchen use. As a natural product, some consider wood as a viable alternative to using glass for kitchen splashbacks but in most cases wood will need special treatment to prevent it from staining. Not only is it likely to stain and discolour quickly but, owing to the humidity that often exists in the kitchen environment, wood is more susceptible to swelling and possibly even cracking, especially when used in the vicinity of cooking appliances. One of the best materials to use for your kitchen splashbacks is glass. Glass is becoming ever more popular both because of its stunning properties and owing to modern design processes that have made it even more versatile. Not only does the toughening process make it extremely durable and resistant to knocks, fading and the environmental conditions often present in most kitchens, but it is also very easy to clean and maintain (using simple window cleaner). Furthermore, the reflective properties of glass make it a very popular choice because more light is reflected back into the room, transforming what could be a dark and dreary room into a light and airy space; opening up all sorts of possibilities. Purchasing glass splashbacks for your kitchen is one of the most obvious solutions but glass can also be used in a variety of locations including, the hall way; as a focal point in the lounge; in the bathroom and even in the office environment. Why not take a look at our Testimonial Pages today to see how many ways you can make a style statement using glass splashbacks. We have also now added a video and updated our measuring and fitting guides to make it even easier for you to achieve that professional finish yourself, saving you both time and money.